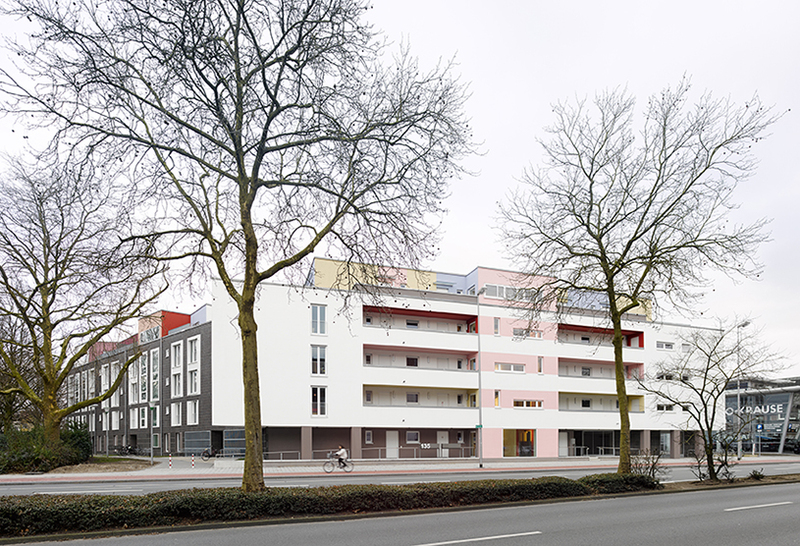 Housing at St. Sebastian received an honorable mention by local Association of German Architects | BDA Münster-Münsterland award for best buildings 2017. 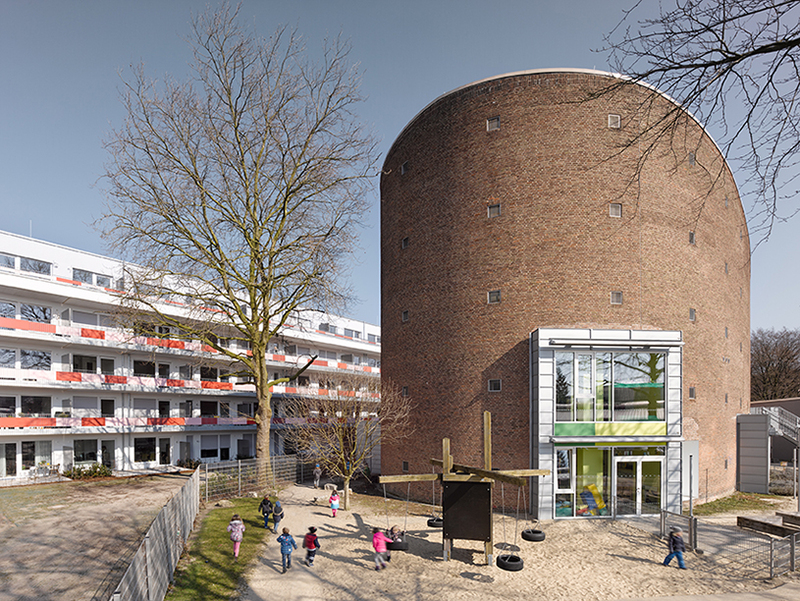 In 2009 BOLLES+WILSON won the 1st prize for housing and a kindergarten on the site of the 1960ies St Sebastian Church. It was expected that the emblematic oval form of the church be demolished. Instead the kindergarten colonized the nave. It was opened in 2013. Phase 2, Housing at St. Sebastian, is a peripheral frame of housing protecting the kindergarten from a noisy street and giving a precise edge to the adjacent park. Go to the BDA Münster-Münsterland Homepage.